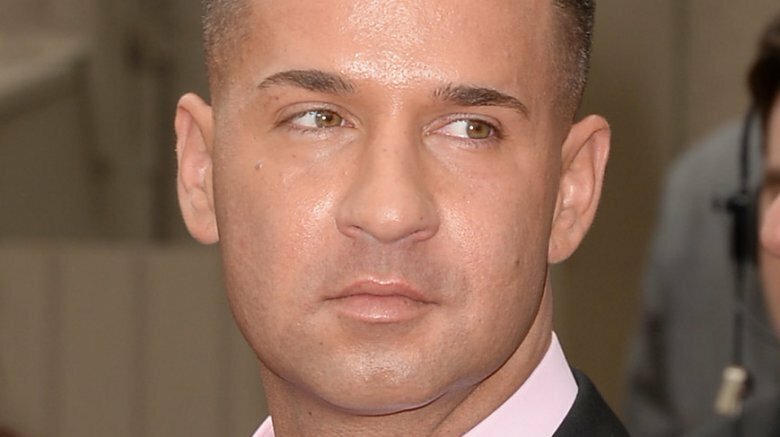 Jersey Shore star Mike Sorrentino, who's better known as "The Situation," has received his sentencing after being charged with tax fraud. On Friday, Oct. 5, 2018, the reality TV star appeared in federal court in Newark, N.J., where he was sentenced to eight months in prison, TMZ reports. According to the gossip rag, Sorrentino had the support of fiancée Lauren Pesce as he awaited his sentencing, which will also include two years of supervised release. The engaged pair reportedly plan to marry in early November. Also showing their support at the courthouse were several of his longtime Jersey Shore castmates, including Nicole "Snooki" Polizzi, Pauly "DJ Pauly D" DelVecchio, Ronnie Ortiz-Magro, Jenni "JWoww" Farley, Vinny Guadagnino, Deena Cortese, and Angelina Pivarnick. As Nicki Swift previously reported, the 36-year-old television personality faced up to five years in prison after pleading guilty to tax evasion in January of this year. In 2014, the IRS accused him and his brother, Marc, of failing to pay taxes on an income of $8.9 million between 2010 and 2012. According to Entertainment Tonight, Marc Sorrentino also received his sentencing on Friday and will serve two years behind bars, in addition to paying a $75,000 fine and being under one year of supervised release. At the time of this writing, Mike Sorrentino, who announced his sobriety last year, has yet to publicly comment on his prison sentence. However, his lawyer Henry E. Klingeman has released a statement. "Mike accepts the Court's judgment," he stated to TMZ. "He is looking forward to marrying his college sweetheart, Lauren Pesce, next month and moving forward together after he serves his sentence." Just days ahead of his sentence, Sorrentino and Pesce, 33, happily celebrated their upcoming nuptials at their wedding shower on Saturday, Sept. 29. "It was such an amazing day celebrating our love for each other with all of our closest families and friends!" they stated to E! News. "You felt the love in the room. We are excited to see what the future holds and can't wait to share with our family, friends and fans."